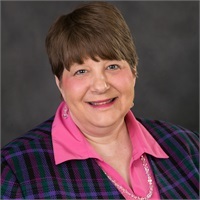 Pam brings years of experience as an Executive Assistant from large corporations such as Scottrade, Emerson and Mercy Health System. She joined the Chamberlin Group in January 2017 to assist Don Chamberlin, President & CEO. Her professionalism and expertise in delivering quality work allows her to support him at all levels. Pam received her MCAS certification in the Microsoft Office Suite of products in 2009. She also attained certification as an editorial assistant. Her Project Management experience is key to keeping The Chamberlin Group and Clarity2Prosperity, a National Holistic Advisory firm for which Don was a Founding Partner, growing. Pam received an award from America’s Registry of Outstanding Professionals designating her a leader in her industry. Her service as an Executive Assistant continues to be a joy for her. Pam has been married to her husband Phil for 37 years. They love to spend time with their four dogs, Claudia, Chloe, Millie and Toby. When not involved with their dogs, they enjoy visiting their local nursing home to spend time with the patrons.